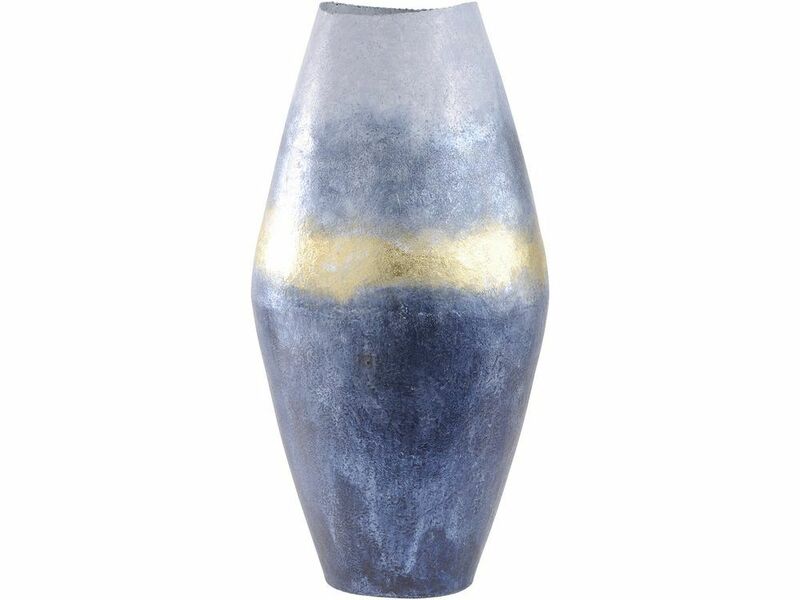 This beautiful large metal vase makes a commanding accent piece, with its fading blue tones and central gold stripe. Made from iron and hand-finished, the round abstract vase has a pointed bulge at its centre, giving it a lozenge shape thats enhanced by the gold band. A versatile decorative accessory, the mottled blue metal vase is over half-a-metre in height, making it a grand display piece whether or not your fill it with flowers.